The fox is becoming extinct in England, but deep in middle England, Nottinghamshire an old silver fox sits alive and well in his armchair reflecting on his days of coaching Stefan Edberg and reviewing the state of the spot today. 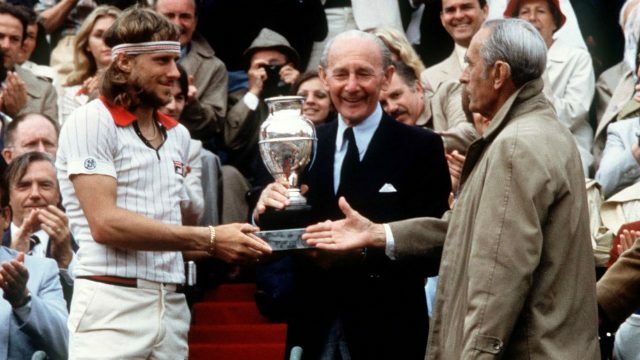 Tony Pickard coached six-time Grand Slam champion Edberg, who was inducted into the International Tennis Hall of Fame in 2004 and is set to make his senior debut on the Blackrock tour this year. 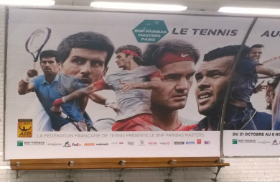 The 42-year-old Swede will compete in Paris, France at The Trophée Jean-Luc Lagardère, September 18-21 and at the Royal Albert Hall in London, England at The BlackRock Masters Tennis, December 2-7. 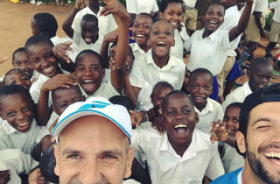 Pickard still has that energy in his heart to stoke up a burning desire for anyone in the tennis profession who wants to listen and learn. He owns one of the most impressive coaching resumes in the nation, having worked with Edberg, Marat Safin, Petr Korda and a Canadian, oppphhhh I mean an adopted Brit, Greg Rusedski. Edberg amassed 41 singles titles, including two Wimbledon crowns, and 18 doubles championships in his career. Edberg and John McEnroe are the only men in Open Era history to hold the No. 1 ranking in both singles and doubles simultaneously. 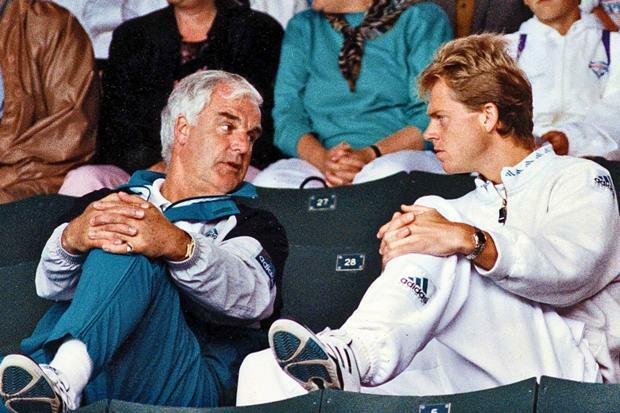 It was a turn of circumstances at the beginning that would bring Tony Pickard and Stefan Edberg together. I asked Pickard, when he started playing tennis himself. “My parents never played tennis. I was nuts on football. It all started by an accident when I was 14 years old. I loved football but one day I jumped into a swimming pool and landed on a broken bottle that cut my foot. I was in a wheelchair for six months. My sister took me to the tennis court where she played and I watched. I thought this is an easy game to play so I took it up,” Pickard says with a bemused smile as he gazed up to the ceiling. Pickard soon played county tennis and later played several times at Wimbledon. He represented his country in the Davis cup and captained the under 21 and Davis Cup teams for Great Britain. One incident that stands out in his playing career was in Rome at the 1963 Italian Open. He was playing the big-serving New Zealander Ian Crookenden in the Italian Championships and not only the crowd, but the line judges were losing interest. Pickard takes up the story: “It was a match point. He served and it was at least nine inches long. 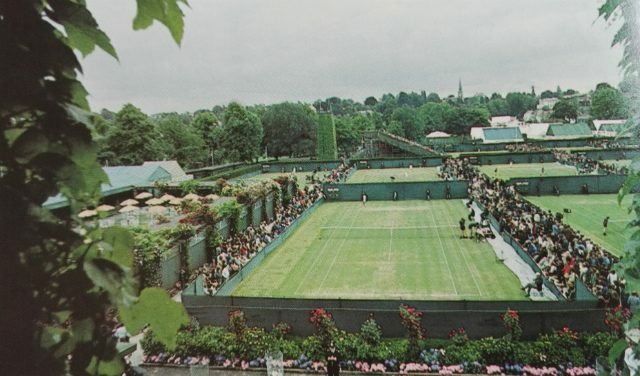 The umpire looked to the baseline judge for the call, but he was turned round buying an ice cream over the fence.’ Crookenden won the point and went on to win the match. I felt as sick as a pig,” says Pickard. Was there any possibility of an appeal I asked? As always, the men’s semifinals sandwiched the women’s final, so Becker and Agassi had to be on court at 11 o’clock in the morning. Only at the US Open could a semifinal match start with the stadium half empty. Those who came late missed a wonderful seventy-one-minute first set. 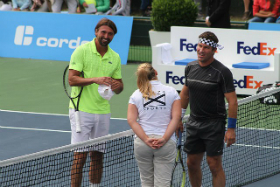 Becker saved four set points and Agassi three. 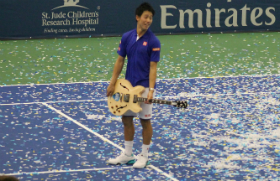 Becker finally won in a 12-10 tiebreak. 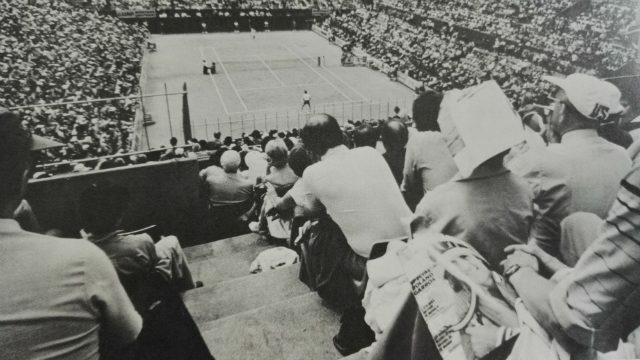 Sitting in the stands, neither Brett nor Tiriac felt overjoyed at the end of it. Relieved, yes. Perhaps, they thought, Boris would escape on his will and his guile, because, once again, he was not playing the kind of tennis either man wanted to see him play. Point after point, he stood behind the baseline exchanging ground strokes with Agassi. Only when he had too, it seemed, did he come in. And yet, here it was, Saturday, and Becker was back behind the baseline against a man he had to attack to beat. 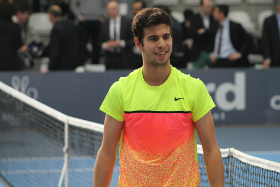 Maybe the conditions – cold and windy, a complete switch from earlier in the tournament – threw Becker off. Whatever it was, he could not keep up the clay-court style of game he was playing. Agassi’s shots began finding their mark regularly. Becker wasn’t even making him sweat to hold serve. At one point, he won six points in eight games that Agassi served? When Becker didn’t get his serve in, Agassi controlled the points. Agassi broke Becker nine times in thirteen service games during the last three sets. No doubt, he had returned extremely well. But Becker doesn’t get broken nine times when he is coming in. It can happen only if he plays behind the baseline. Agassi won in four sets. 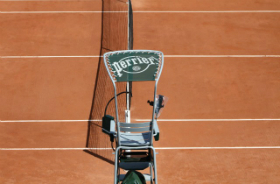 He ended it with a service winner and promptly knelt in a prayerful pose somewhat akin to The Thinker – remarkable behavior from someone who, a week earlier, on this same court, had spewed profanities and spit on an umpire. Becker said nothing, but he noticed. 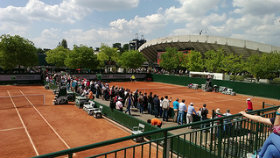 Considering the fact a young American had just beaten the defending champion, the crowd was surprisingly quiet. The applause was a little more than polite, but not much. Becker tried too hard to be gracious in his press conference. 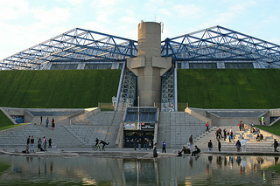 He claimed that he had played better tennis against Agassi than he had in 1989, in the final against Lendl. “Andre was just too good,” he said. 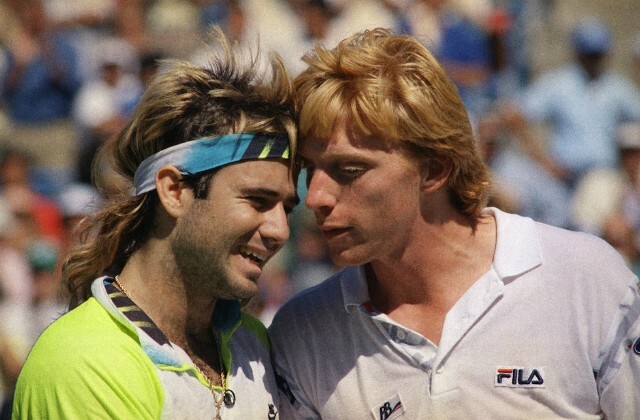 Later that night, Becker admitted he had gone too far in praising Agassi.